Liberty Enlightening the World known more commonly as the Statue of Liberty is a large statue that was presented to the United States by France in 1886. It stands at Liberty Island, New York in New York Harbor as a welcome to all visitors, immigrants, and returning Americans. The copper patina-clad statue, dedicated on October 28, 1886, commemorates the centennial of the United States and is a gesture of friendship from France to America. Frédéric Auguste Bartholdi sculpted the statue and obtained a U.S. patent useful for raising construction funds through the sale of miniatures. Alexandre Gustave Eiffel engineered the internal structure. Eugene Viollet-le-Duc was responsible for the choice of copper in the statue's construction and adoption of the reposes technique. 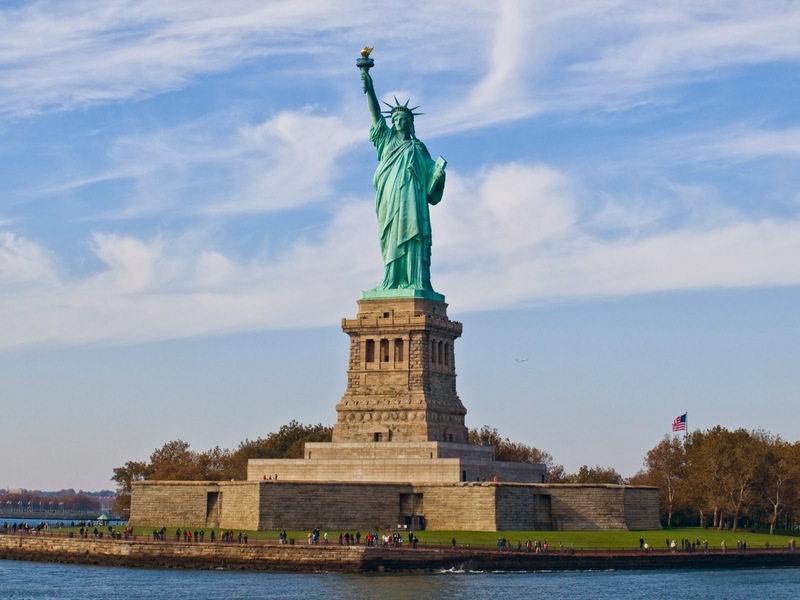 The statue is a central part of Statue of Liberty National Monument, administered by the National Park Service. Location : Liberty Island, New York, Harbor.